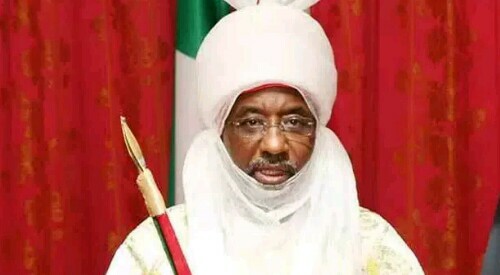 Again, Emir of Kano, Muhammadu Sanusi II, has called on Nigerians to stop birthing more children than they can cater for. He spoke on Thursday when Mohammed malick Fall, the United Nations Children’s Education Fund (UNICEF) representative in Nigeria paid him a courtesy visit in Kano. According to him about 3 million children in Kano are out of school due to ignorance of their parents on their responsibility to their children’s educational up-bringing. “For you to have kids you must make sure that the responsibility of their education, health, and general up-bringing both morally and otherwise are part and parcel of what a parent should do”. He said “it is not only giving birth to the child that matters, but how to take your responsibility as a parent to bring-up that child to grow and be a benefit to the society in general’’ saying ‘’if people are aware of this they will not even have many kids that they know they cannot take care of”.